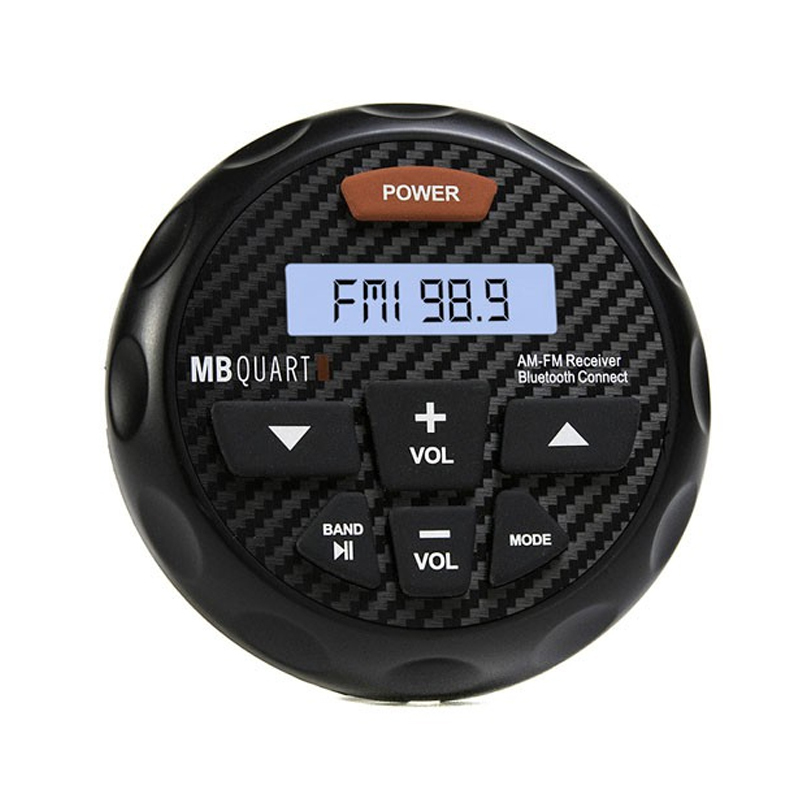 MB Quart offers several solutions to put music into an audio system. New this year is GMR-3. The newest and most technically advanced AM/FM Source Unit ever conceived, by the MB Quart engineering team. The MB Quart Nautic GMR Marine & Powersports source units are the perfect solution for any vehicle that will be exposed to the elements. The GMR line has been extensively tested to be waterproof, dust proof and UV stable. This product has been designed and tested against the elements. Waterproof, dust proof, snow proof or shock proof. Built to handle the outdoors. Quick and secure wireless connection between your Bluetooth enabled device. This reliable connection is impervious to outside interference, providing a lock-tight connection to your audio system. No more frustration with trying to pair. When the unit powers up, it immediately connects to the last device connected. For a first time connection, you only have to select "MB Quart" from your Bluetooth menu and you are connected, QUICKLY. Four channels with 40 watts of output. These channels remain active when running external amplifiers (RCA Output) to run additional speakers in the cabin.